Something interesting happens when I speak to groups. Now, usually I speak either on loving Palestinians or loving Muslims. Sometimes it’s on other topics, but I would say 90% of all that I do is on those. Here is what’s interesting: I am usually met with pushback and suspicion on the subject of loving these people. All of a sudden my faith is in question, as are my methods and definitely my theology. And this is by other Christians. I am usually asked to give a disclaimer at the beginning of talks on these subjects that I do, in fact, love Jesus, that I am not an anti-Semite, and that I have not converted to Islam or think that Christianity and Islam are one and the same. My favorite reaction is that Muslims have undoubtedly brainwashed me. Recently, I’ve refused to give a disclaimer that I love Jesus or to throw out a Scripture verse to prove I read the Bible. In fact, in my rebellion, I have chosen not to defend or prove the fact that I am a Christian. I’ve decided to live it as best and as flawed and as messy as I can. You see, after living overseas, visiting countries around the world and having community with people of different faiths and nationalities, I have learned something. I have learned how to communicate my faith without using the lingo, the "Christian-ese religious verbiage." All that means to me is that I belong to a group that can and does exclude others. My job is to bring others together, reconcile, restore dignity and using verbiage that isn't inclusive defeats the whole point. Last month, I had the privilege of sharing my “testimony,” my faith, my ministry, and my heart for Palestinians with my interfaith dialogue group. For days previous, I hardly slept, waking up at 2am thinking about how to communicate Jesus and Palestinians (which, let’s face it, in any crowd would be an issue) to a group composed of Methodists, Mennonites, Catholics, Mormons, Rabbis, one Buddhist Zen Master, Imams, and Muslims. God help me! How to communicate why I follow Jesus and the sliver of what I see as God’s heart for the Palestinians, justice, mercy, peacemaking, and love in the Middle East? All I could do was to be authentic, use real words, and be vulnerable with my pain and confusion - not only over my life, but also the lives of Palestinians. My pain and confusion over all people groups in the Middle East. My pain and confusion over even how to begin peacemaking or reconciliation in the midst of extraordinary complications. And in spite of all that, my willingness not to give up on the Palestinians or peacemaking because God hasn’t given up on me. And you know what? By God’s grace, people heard my heart. They even thanked me and gave the kindest feedback. They mostly responded to my pain; maybe that’s the power of vulnerability. This is real to me, what I say as a Christian. What I do as a Christian. What I represent to others as a Christian. I cannot bear the thought of preaching more hate or dividing people more than they already are. That’s not good for my soul or my faith, let alone for others'. Where I’ve had to start is with myself, with my hate, with my bigotry, with my ignorance. 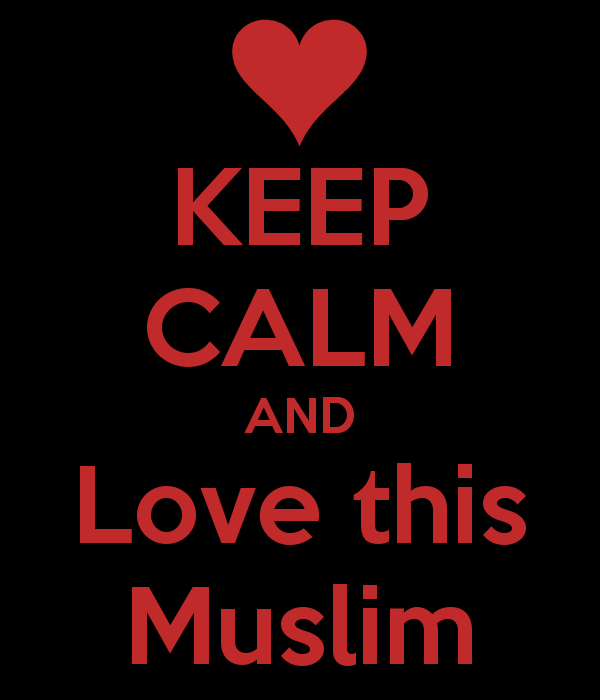 Can I still love Muslims and those dreaded Palestinians without hating others? Without losing my faith? Can I step out of my safe little circle of people like me to engage a divided, violent, and messy world? I think the answer is not just an overwhelming yes, but a must. I am thankful for the relationships I have with Muslims and Jews and Buddhists, because I believe it’s made my faith stronger. Is my faith so shallow that I cannot be in relationship, have community with, and deeply love people who are different from me? I cringe when I hear Christians talk about defending Christianity and Jesus. I’m pretty sure that’s not my job. Maybe my job is to go to others, be with them, and live out my faith with all Jesus’ humility, weakness, power, acceptance, and love. That’s dangerous and painful. And surely one cannot stay safe doing so. Love isn’t safe, but the world kneels before it in awe.